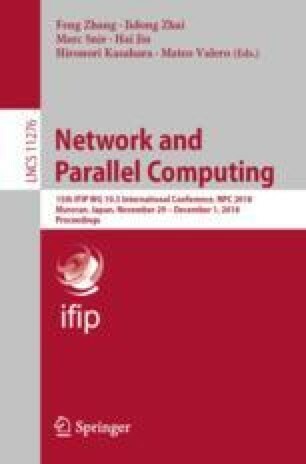 In this paper, we present an optimized data processing framework: Mimir+. Mimir+ is an implementation of MapReduce over MPI. In order to take full advantage of heterogeneous computing system, we propose the concept of Pre-acceleration to reconstruct a heterogeneous workflow and implement the interfaces of GPU so that Mimir+ can facilitate data processing through reasonable tasks and data scheduling between CPU and GPU. We evaluate Mimir+ via two benchmarks (i.e. the WordCount and large-scale matrix multiplication) on the Tianhe-2 supercomputing system. Experimental results demonstrate that Mimir+ achieves excellent acceleration effect compared with original Mimir. We are grateful to the anonymous reviewers for their valuable suggestions that will be used to improve this paper. This work is partially supported by National Key R&D Program of China 2017YFB0202201, National Natural Science Foundation of China under U1611261, 61433019, U1435217, 61872392 and the Program for Guangdong Introducing Innovative and Entrepreneurial Teams under Grant NO. 2016ZT06D211.